Security Failure? 1 Injured in Blue Flame Nightclub Shooting, Naples. Could this senseless Naples nightclub shooting have been prevented? A fight reportedly escalated into gunfire outside a Naples nightclub Saturday night, January 13, 2018, leaving one victim hospitalized. 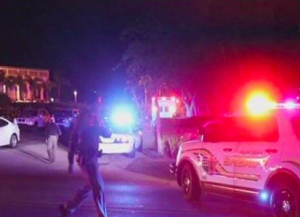 According to the Naples Daily News, the shooting occurred “around 10 p.m. at The Colosseum, also known as the Blue Flame of Naples, at 2059 U.S. 41 E.” NBC 2 reports, “a fight broke out inside the club and continued into the parking lot.” A male victim was “airlifted” to the hospital with a gunshot wound to the stomach. His identity and current condition have not been released. Did negligent security contribute to this senseless Naples nightclub shooting? We represent individuals and families who have suffered a tragic loss or injury as a consequence of negligent property security. Read Our Legal Take below to find out if the victim may have a legal avenue for justice and claims for substantial compensation in Florida, or call now for a free consultation with our legal team: 888.842.1616. What efforts were made by nightclub management and security to safely and separately remove those involved in the initial altercation from the premises? Were police called at the start of the initial altercation? What security measures, such as weapons screenings, bright parking lot lighting, surveillance cameras, and security patrols, were in place to protect patrons and deter crime at the time of the shooting?